Here we'll update the top of the page with the latest Monarch videos being released on Twitter and Facebook. So far it seems like a new event is being shared every week. If anyone is able to get some decent screenshots of other events on the timeline, by all means, share away. It's pretty clear that at the pace they're going, something may be revealed at Comic Con 2017. Albert Einstein's general theory of relativity ultimately leads to the splitting of the atom and the dawn of the atomic age. The epoch-defining stage in human evolution will act as a beacon that awakens ancient superspecies sustained by nuclear energy. 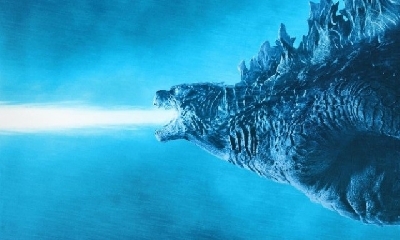 [Godzilla attacks the U.S.S. Lawton] Haunted by the memory of that day, Randa will go on to become MONARCH's foremost operatives, searching for the truth behind ancient creatures that exist beneath the surface of the world. After the cover-up of the U.S.S. Lawton incident, President Truman unofficially establishes "MONARCH unit", a small, off-book research team established to engage in the systematic study of "Massive Unidentified Terrestrial Organisms". Privately, many of Truman's allies question the validity of the group's theories and work to keep their existence secret. Baffling meteorologists and defying atmospheric physicists, this unexplained phenomenon saw London's streets overwhelmed by huge clouds of air-polluting smoke. MONARCH theorizes that the beating wings of a giant creature could have created an anticyclone that unleashed airborne pollutants across the city. At the height of the Cold War, aerial photography taken from a Russian spy plane reveals a huge containment facility established around an ice cap in Siberia. The MONARCH symbol can be seen emblazoned across the canopy of the structure. MONARCH surreptitiously Landsat and the 2st Aviation Brigade, 3rd Assault Helicopter Company, to mount an expedition to the mythical "Skull Island" in an uncharted corner of the South Pacific. Encountering the god-like superspecies known as Kong, they soon discover that mankind does not belong here. The covert MONARCH team establishes a quarantine zone around the island's dormant volcano, under the guise of 'environmental research'. Over the coming years what began as a small scientific outpost will expand to become a full containment facility around the mouth of the volcano. MONARCH security officer Aaron Brooks defies his father Houston Brooks and leads an off-the-books mission to Skull Island, to determine what has become of Kong since the 1973 expedition. 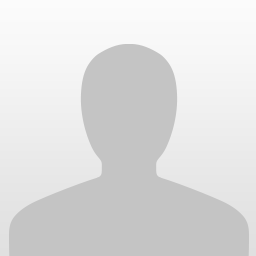 Former British Army Colonel and MI-6 agent Jonah Alan is locked up in Pakistani prison after an encounter with MONARCH agents. Alan and his band of mercenary accomplises were caught trying to breach the walls of a subterranean M.U.T.O. dig-site. Mythographic studies of Chinese temples leads MONARCH to the high-altitude jungles of the Unnan Province. Dr. Emma Russell and her team follow a mysterious bio-acoustic signature to a previously undiscovered megalithic temple, within which lies a gigantic cocoon. A quickening heartbeat is detected inside. Days before retirement, MONARCH veteran Houston Brooks receives a coded message from his son. The mission to Skull Island has revealed dramatic new information about Kong's origins, and his role on the island. The existence of giant superspecies is revealed to the world as Godzilla clashes with the two M.U.T.O.s in the center of San Francisco. Unleashing devastation upon the urban center, the world watches as Godzilla defends our world and restores balance to the natural order. The time has come for MONARCH to step out of the shadows. When MONARCH discover an extraordinary superspecies sealed beneath the Antarctic ice sheet, Dr. Vivienne Graham leads the effort to build a covert containment and research facility around the dormant creature. Her classified field notes contain a mysterious footnote: "The devil has three heads." I'm really loving the way info is being released. It's like classified government files being released/leaked to the public. I hope something like that is an element in the movie. 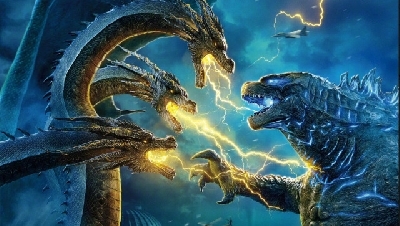 People find out about the other monsters not because they get reawakened, but because files get declassified and leaked after a very public hearing about Monarchs involvement with the MUTOS in Janjira. Maybe that's what the mercenaries are for? 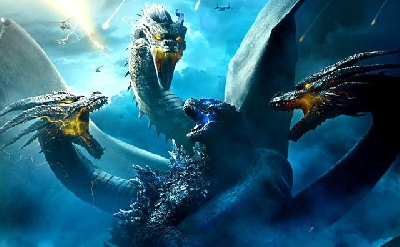 People are so afraid that these monsters could wake up that the mercenaries are sent to eliminate them before they can wake up and that in effect does actually wake Mothra, Rodan, and Ghidora? The timeline actually explicitly refers to the events of Skull Island: The Birth of Kong. That makes me more confident that this comic's continuity won't end up being as dubious as Awakening. How do you know that TTIOT? TheTruthIsOutThere-Sweet to see that you have a ton more credibility added, and I personally can't wait for Comic-Con. 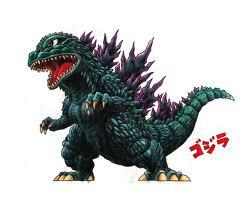 Dubious, you say, The King of the Monsters? I don't know........ these images from their Instagram seem to support Awakening's inclusion in the continuity. If it wasn't clear enough before, it should be abundantly obvious now that there WERE multiple nuclear bombings. 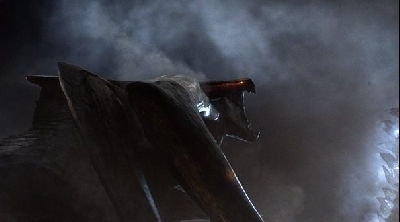 Expect RODAN to have wings. Yeah yeah yeah, have fun there Gowhaletours. So anyways, what do you guys think of that new info? It looks like efforts have been made to include the comics into the overall continuity. I don't think those images support Awakening's inclusion at all the movie acknowledges there were multiple bombings. See, that WOULD be a pretty fair point, Im Durp........... Except for ONE niggling detail. 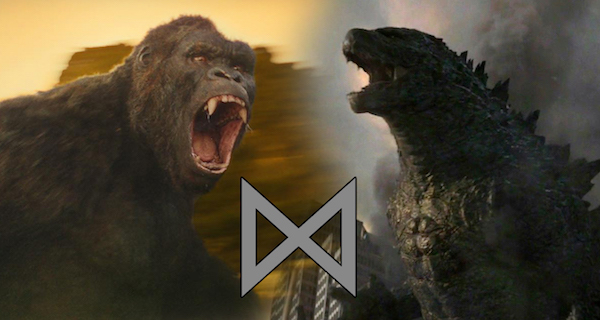 He was first introduced into the MonsterVerse canon via Awakening as the lead military figure heading the nuclear kill missions against the M.U.T.O.s, Godzilla and the Shinomura. Here, we see confirmation that his missions are indeed within continuity, authorized by Truman himself. At the very least, Awakening isn't simply being ignored. It looks as though it's becoming the The Incredible Hulk of the MonsterVerse, not often referenced directly but still canonical to the main continuity. So they're taking bits and pieces as reference and incorporating that, that doesn't make the whole thing canon. I can give you plenty of examples of noncanon things being used to inspire canon making small elements part but not whole works. At the very least, can we count Awakening as "not entirely non-canon"? Because I'd like if we could agree on that one to have a more complete timeline. I'l concede that it's clear they know about it and will probably use it where it is convenient to fill in gaps that were unknown. 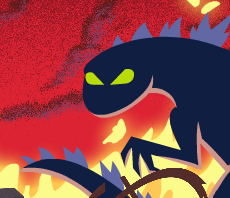 Because of how hard they're avoiding outright referencing certain big parts of the book I don't know if I'll ever throw it in with the full canon as things are right now. Isla de Mona....The Doll's Island. Are we sure it has to do with Rodan and not Mothra? So we just gonna not talk about the 1952 tagline? I'm sensing some Hedorah. Anyone else sensing some Hedorah? It even talks about how the "smog" was a giant wave of pollution that washed over the city. Nah, I think that's Mothra. Poison gas seems like a natural evolution of poisonous scale powder. Dang, flapping her wings just does that. G's gonna have to smash them things to stop that trash. Or will G and Mothra even fight? The existence of multiple nuclear bombings was never in question. They even say in the movie "Those nuclear tests in the South Pacific? Not tests." Legendary's Instagram reiterating this doesn't do anything to strengthen the continuity of Awakening. 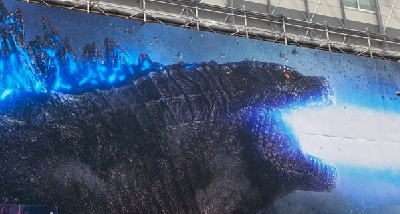 I'm not saying Awakening is "definitely 100% not canon and never was," I'm merely making the point that Legendary has been hesitant to directly reference it and its writing had little direct connection with production on Godzilla. 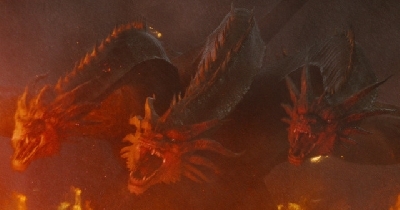 I think Legendary will simply pick and choose what elements from Awakening apply to the rest of the MonsterVerse canon, and am not expecting it to ever be directly referenced. I don't get what the big deal is anyway, it was a tie-in for the film published long before the full direction of the MonsterVerse was determined. Having filmmakers adhere strictly to something like that when making further films seems unnecessary. Plus I personally just did not care for the comic. 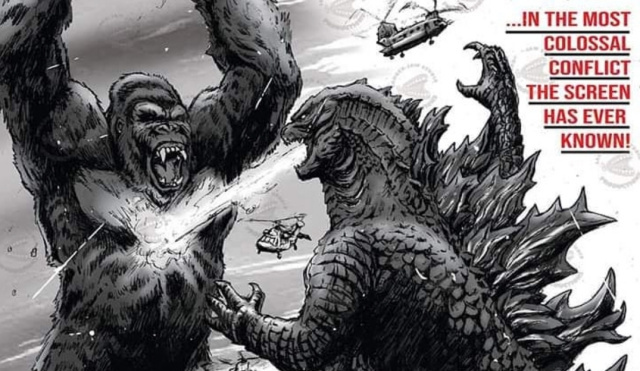 Birth of Kong, by contrast, is being published after Kong: Skull Island has come out and the writers are being very careful and deliberate with making it fit in nicely with the rest of the MonsterVerse now that they know where it's heading. Plus there is a completely explicit reference to its events in the timeline. Cool, so JUST like The Incredible Hulk, the red-headed stepchild of the Marvel Cinematic Universe. I'm cool with that comparison. I would say a more likely comparison is Star Wars Legends material. They might canonize certain aspects and characters they can use, but otherwise noncanon side works that have been retconned. Nah, Legends is taking it a bit far. It's referenced directly, just like Skull Island: Birth of Kong, and its interpretation of things has been made "official" on numerous accounts. I'd say we shouldn't preclude one without precluding the other, just to be safe. Keep the timeline nice and clean, thus not having to deal with potential "pick-and-choose" scenarios, because those get REALLY annoying for me. I think it's exactly like legends. Multiple times Legends brought in places characters and ideas that were brought into the movies afterwards. 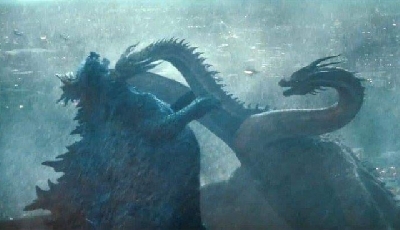 However it was writtin largely before Disney made the mandate that all material had to be canon, just as Awakening was made before they monsterverse was a real thing and had very little to do with the movie. Now that those things have to be canon and they're playing with bigger ideas they would go back to the novels/comics and taking the pieces they want that will fit into their story and leaving the rest. The fact that as I said they are going out of their way to not acknowledge big parts of that comic says everything. The Thrawn Trilogy is legends is what introduced Coruscant as a capital planet, that was later included when the prequels were made, but the Thrawn trilogy is not canon right now despite that. Awakening introduced Douglas McArthur that the movies now acknowledge, but they're going out of their way to ignore the big story point of that book Shinomura, pointing to the exact same treatment Disney gave Legends. ^And to add, "In 1954 we awakened something," is a very, very difficult line in the film to get around. It sort of supports Durp's comparison.